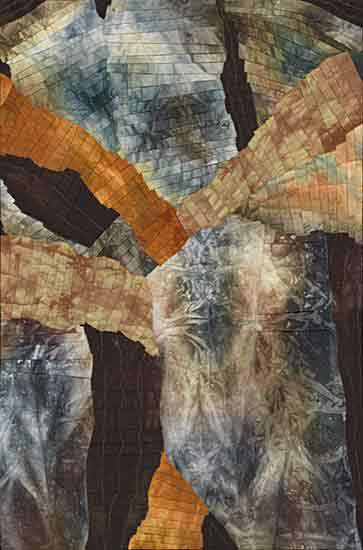 This gallery uses pleated strips to evoke other images from nature, including leaves and rocks worn by the storms of time. 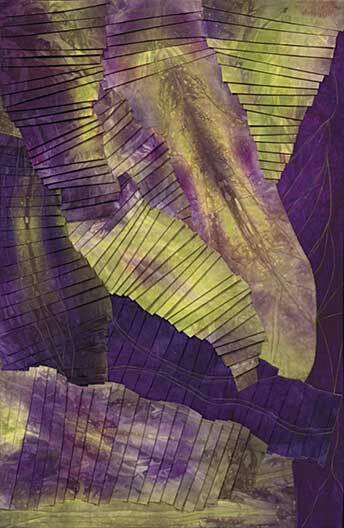 Quilting by Donna Radner. Photography by Mark Gulezian and Donna Radner. Contact the Artist for prices and more information. Inspired by an aerial view of the Na Pali coast, Kauai. 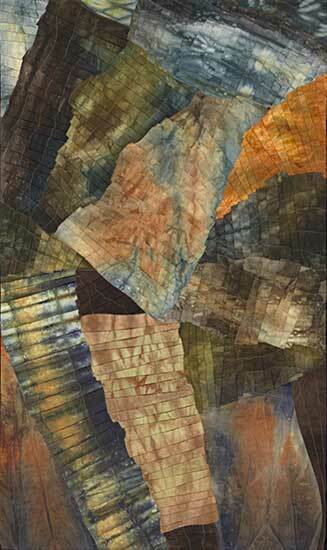 Fused collage of curvy pleated strips. 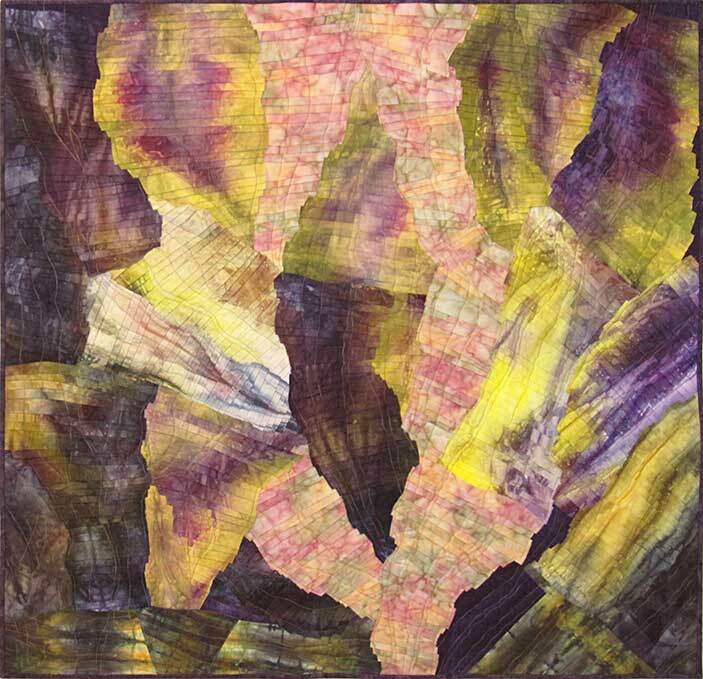 Hand dyed fabrics and batiks. Machine quilted. 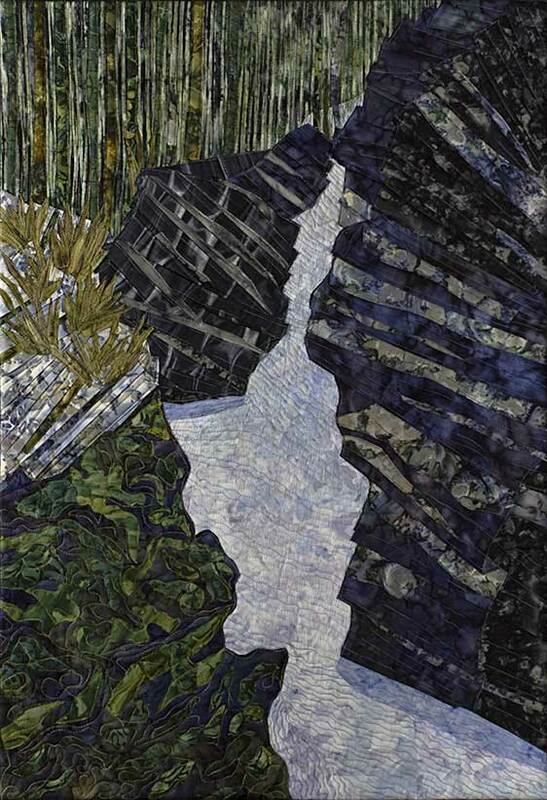 Fused collage of curvy pleated strips. Hand dyed fabrics and batiks. Machine quilted. Inspired by a photo of a slab of rock. Hand dyed fabrics. Machine quilted. Sold. Private collection. Inspired by a photo of a slab of rock. Fused collage of curvy pleated strips. Hand dyed fabrics and batiks. Machine quilted. 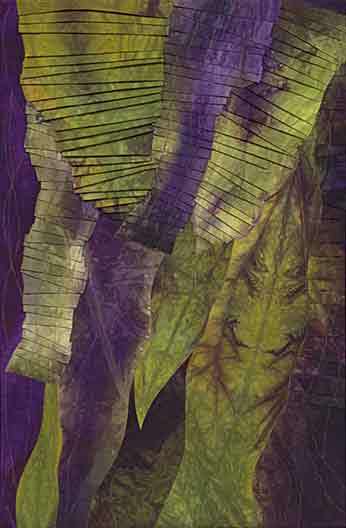 Fused collage of curvy pleated strips with additional strips inserted. Batik fabrics. Machine quilted. Inspired by Georgia O’Keefe flowers. 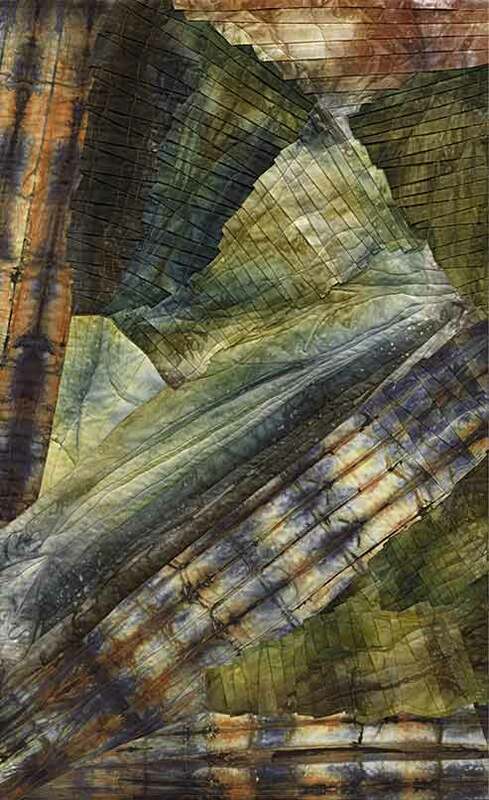 Fused collage of curvy pleated strips. 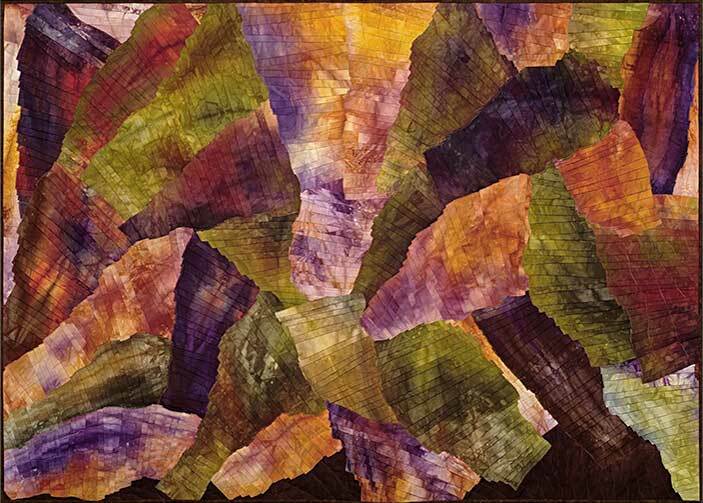 Hand dyed fabrics and batiks. Machine quilted. 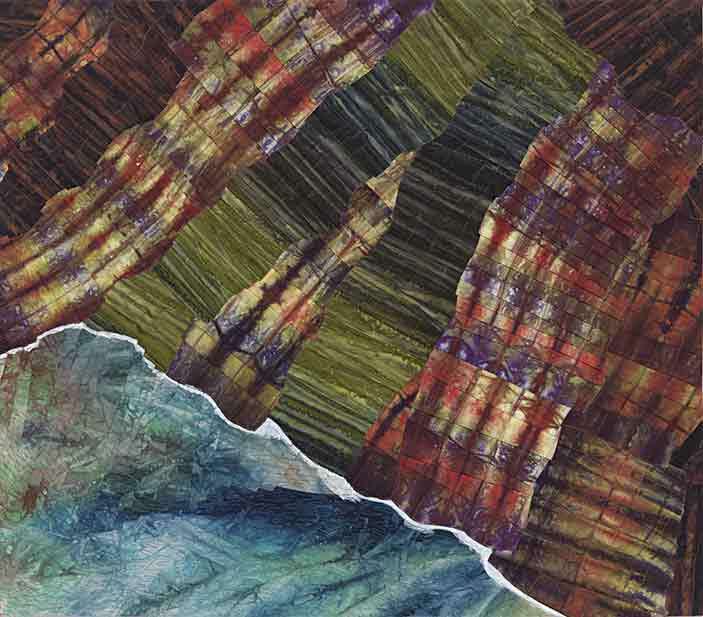 Fused collage of curvy pleated strips. Hand dyed fabrics. Machine quilted. Refresh the page if images appear distorted after rotating the device. All artwork on this site is copyrighted by the Artist, ©Donna Radner. No image, either in whole or in part, may be used without permission.